Want to touch, see, feel the beauty of Cambria? The Stone Center in Sioux Falls has over 120 Cambria designs in our showroom including the two new Cambria designs; as well as that Cambria Gallery next door showcases 24 designs in full size slabs. 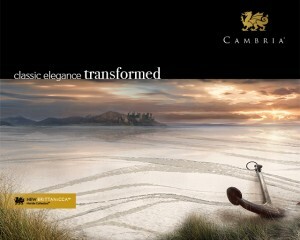 Stop in anytime to personally see the beauty of Cambria quartz. 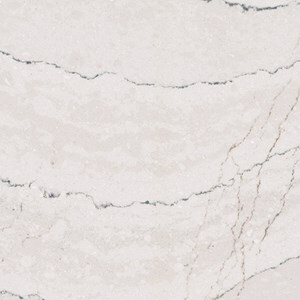 BRITTANICCA™ offers a velvety marbled background of neutral white that provides a stage on which gray streams meander among intertwining ashen veins dotted with veiled charcoal sparkles. 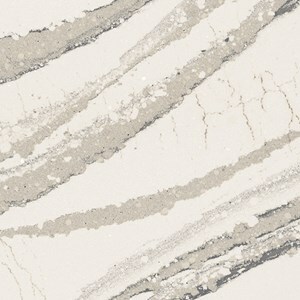 ELLA™ features a dimensional lattice of delicate dove-gray streams permeating throughout a creamy marbled backdrop. I think my new favorite it Britannica! Beautiful designs.